Chuck McDaniel has been selected to be the 2015 recipient of the Invisible Disabilities Association Corporate Award. Chuck has been chosen because through his leadership as President and CEO of Lockton Companies – Denver, he has created a corporate culture of giving back to the community through such organizations as the American Cancer Society, Children’s Hospital Colorado and the American Heart Association. As President and CEO, Chuck leads the company in servicing clients and the community. 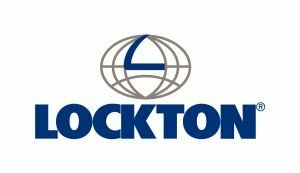 He is engaged in building a culture and community inside of Lockton where Associates can thrive and look forward to a rewarding career. As a Producer, Chuck is responsible for new business, client satisfaction, strategic leadership of client teams, and delivering on every aspect of client service. Chuck has spent most of his professional career in the insurance industry. 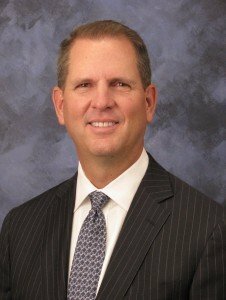 In addition to his current position as President and CEO of Lockton Denver, Chuck was previously with Marsh & McLennan as a Vice President, Sales Manager and Large Commercial Property Account Executive and also with Kemper National Insurance Companies as an Engineering Account Executive, Engineering Supervisor and Accounts Underwriter. Chuck also has the processional ARM (Associate in Risk Management) designation and is on the Board of Directors for the National Multi-Housing Council. Chuck has a long standing passion for the community through his personal involvement in various organizations. The following are a few of the those he supports: Boys and Girls Clubs of Metro Denver Ambassador, Colorado Succeeds Board of Trustees, Junior Achievement Board member, United Way Tocqueville Society, ACE Scholarships Board of Trustees and the Heart & Hand Center for Youth and Their Families Chairman of Board of Trustees. Chuck received his education at Colorado State University in Civil Engineering. Chuck’s award was acknowledged at the 2015 Awards Gala on October 23rd, 2015.